Prize-winning poet Bronwyn Lovell is currently writing Migration — a science fiction verse novel about human colonisation of Mars. In this interview, she speaks to us about the ideas at play, and shares some of her work in progress. I was born the same year as NASA’s Space Shuttle Program. I grew up on Star Wars. I remember seeing Halley's Comet when I was five. I found solace in late-night episodes of Star Trek as an awkward teenager. While Santa Claus, fairy stories and even God no longer exist, space remains as vast and magical as ever. The sky is where we all look when we're soul-searching, when we want to put things in perspective. Without space and all its mysteries, without at least the idea of something so much bigger than ourselves, I suspect life on Earth might feel a little claustrophobic. and cheers, hungry for our fiery wake. my mother’s swollen Earth-blue eyes. Our stories of exploration and colonisation have, until now, been told from predominantly male perspectives. Women have mostly been minor players in the space sector too. On Earth, we live in a patriarchal society, aspects of which cause me to despair on an almost daily basis, but here is a chance to start a new story. As a writer, I want to tell it, and I want to do so in a female voice. I am writing a science fiction verse novel called Migration, which explores the human element of colonising Mars. It imagines the emotional experience of leaving one's home planet and the physical and psychological toll it might take on the astronauts. By presenting the modern story of a female astronaut’s journey into space, the narrative subverts the historically male tradition of seafaring explorers. 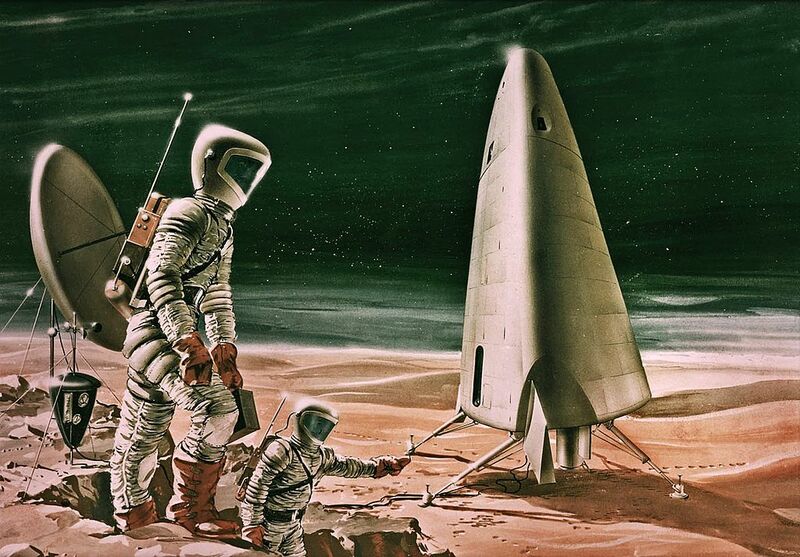 To a lot of people, the concept of manned space exploration and establishing a human colony on Mars probably seems like pure fantasy, but we are actually getting closer and closer to being capable of making those imaginings reality. Mars One, the organisation proposing to commence colonisation of Mars from 2025, has just announced its worldwide shortlist of 100 candidates, and 50 of them are women. It's an exciting time in the history of humanity; in as little as a decade, we may no longer be a sole-planet species. can no longer feel my frostbitten heart. Taking on board the idea of a space colony being an opportunity for a new society to emerge, how do you feel such a society might offer us new ways to relate to one another? How about conflicts? On the journey, and in the early years of the colony at least, everyone will be highly dependent on each other — and the crew will need to cooperate to ensure their mutual survival. They will have been through a number of tests and training experiences on Earth over several years to prepare them to cope with the psychological and physiological challenges they are likely to face. 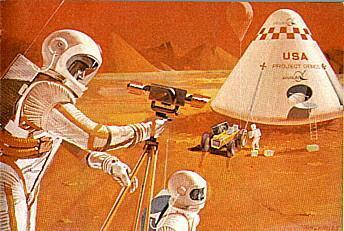 In the Mars One model, colonists will be sent just four at a time, two men and two women, all from different countries. They will need to live and work together as an effective team in close confines. They must trust each other with their lives. There will be no room for conflict. Racism, sexism, classism, homophobia and other petty prejudices that plague society on Earth must be left behind. The odds are already against them, so they simply can't afford to be against each other. The crew will have to live sustainably; they will need to minimise waste, reuse and recycle almost everything, and conserve their resources. This new society could serve as an example to Earth. Eventually, perhaps after a century or so of colonisation, I imagine that humans on Mars will identify as Martians more than Earthlings. They may even have begun to exhibit some physiological differences. I suspect a Martian colony will seek independence at some point, as Mars and Earth each tackle different concerns and priorities. We could see interplanetary ambassadors negotiating trade deals, immigration policies and contracts for joint construction of infrastructure like space stations. If the Mars colony is successful, Earth might very well birth an empire that spans the solar system. However, if there is one thing all astronauts seem to agree upon, it's that once you are in space, nothing appears more stunningly miraculous and profound than the shimmering planet you've just left. Looking back on the Earth comes with the startling revelation that we humans are in fact one global family, travelling together through the dark loneliness of space. as we stretch that cord even further. Love you. My eyes sting salt-sea oceans. 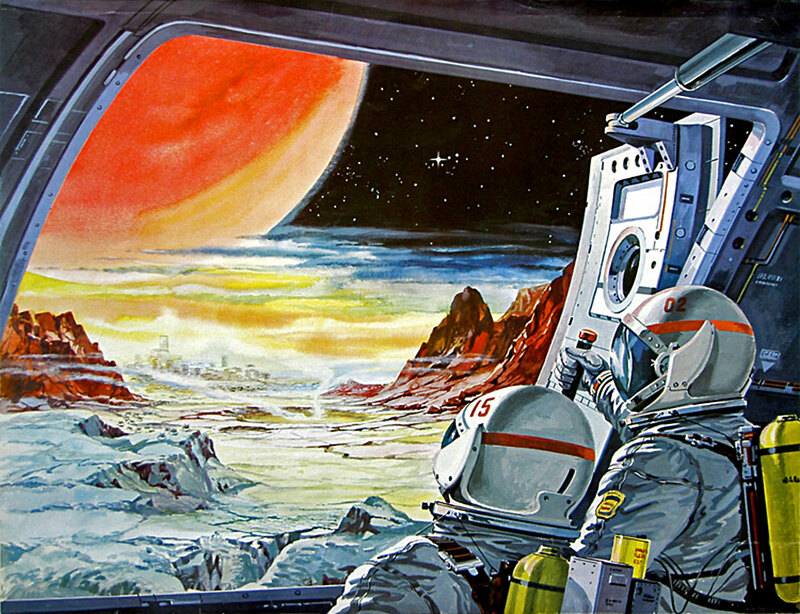 How has the dominance of private enterprise in Martian colonisation influenced the unfolding of your fiction? Mars One aspires to raise the funds needed for its mission from donors, sponsors and the profits from a worldwide reality TV show screening the astronaut candidates' experiences. Although Mars One itself is not-for-profit, that certainly won't be the case for many investors, who will expect — if not demand — big returns. Apparently Endemol, the production company behind Big Brother, is onboard as a partner. This raises ethical concerns about candidates' privacy — and the potential for their experiences and emotions to be dramatised, exploited, edited and manipulated to increase their marketability as entertainment. In this way, corporate motivations and their commercial interests in the mission must be considered critically. It will take billions of dollars to finance the project, and Mars One hopes that many large, international companies will contribute to the bill. It's easy to imagine how familiar literary themes such as greed, power and corruption could find their way into my novel. Earth has only limited natural resources, but asteroids are rich in precious metals; the next mining boom will almost certainly take place in space. If human history has taught us anything, it is the often devastating price of colonialism and imperialism. I can't help but wonder what ulterior motives might be at play behind establishing interplanetary colonies besides purely pioneering spirit. These ideas are something I explore through my story. smaller than ours, older, and wiser in its way. in secret. Nothing here hungers to hunt me. men, their night-time catcalls frightening. of wariness a woman grows weary of wearing. When we talk about human colonisation of other planets, should other species factor? At its heart, my verse novel will be a love letter to Mother Earth. Like most writers, I am intensely interested in the human condition, and our home planet is an intimate part of our humanity. As a species, we have evolved intricately for life on this planet, as part of a complex ecosystem. On Mars, there will be no pets for companionship, no birds or butterflies, no trees or flowers; no art or music, except for what we take with us. The colonists will likely never again feel the sensation of sun or wind against their bare skin. The concept I really wish to explore through my writing is: if we leave Earth behind, how might that affect our humanity? Bronwyn Lovell is a Melbourne-based poet. Her poetry has appeared in national and international publications, including Best Australian Poems, Award Winning Australian Writing and the Global Poetry Anthology. She has won the Adrien Abbott Poetry Prize and been shortlisted for the Newcastle, Bridport, and Montreal prizes. Tonight at the Wheeler Centre, we're discussing the Privatisation of Space with a panel including Angus Hervey, Tim Parsons, Alice Gorman and Mars One finalist Dianne McGrath. Limited bookings are available.